The next English-spoken PBF course will be in Mombasa ftom the 28th of October to the 9th of November, 2019. This 78th performance-based financing (PBF) course took place from Monday, April 1st to Saturday, April 13th 2019, in Mombasa, Kenya. Twenty-six participants attended the course: 14 from Nigeria, 7 from Ethiopia, 2 from Cameroon and 2 from the Netherlands. 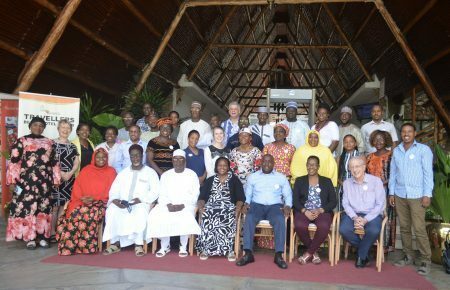 The Nigeria team consisted of fourteen participants, from the Ministries of Health in Adamawa, Borno, Kebbi, Kwara, Nasarawa, Ondo and Yobe States. The Ethiopia teams consisted of three participants from the Ministry of Health at federal level and four from a PBF pilot in Borona Zone in Oromia regionThe two participants from Cameroon were from the North West region. We welcomed one participant from CAR and two from The Netherlands – one working at CORDAID head office in The Hague, and the other a senior general practitioner in Holland. 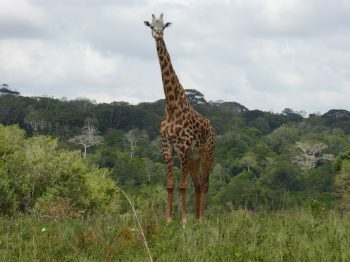 The “Village 78” authorities consisted of the Village Chief, Dr. Omar IBRAHIM; the Deputy Village Chief, Flora KWIZERA; the time keeper, Buzinel Gudisa Mijena; the Finance Ministers, Kinyuy Margaret Gham and Kees Melcherts and the EnergizersBaba Laminu, Abubakar Abana and Mekdelawit Mengesha. They actively supported the facilitation process and contributed to a congenial atmosphere while maintaining “order” in the village. Twenty-six participants conducted the final exam. The average test score result was 67% with six certificates of distinction and six certificates of attendance. This was the third course in the 4-star Traveller’s Hotel, which provided a professional and pleasant ambiance. This justified the higher full board tuition fee. The daily evaluations yielded scores, which were with 85%, 1,6% above the previous 24 English courses and 6% above the previous French-spoken course. Methods and facilitation scored 87,5% (the same as the previous courses). Participation scored 87.2% (the same as the previous courses). Organization scored 86.6% (0,3% above the average of the previous courses). The subject of timekeeping scored 78,8% (6,2% above the average of the previous courses). The final evaluation indicated that for 88% of the participants the content of the course related well to their regular professional activities. Yet, only 52% said that they were well-informed in advance about the course and some indicated that the course book should have been distributed 1-2 weeks in advance of the course. The fact that some participants’ names were only known a week before the commencement of the course contributed to this score. Participants were satisfied with the methodology and the organization. In October 2018 a large proportion of 43% of participants thought the course to be too short and nobody thought that the course was too long. This course we added one day (the Saturday) to the course duration and this worked better to reduce the time pressure to finalise the action plans as well as the course modules. This entry was posted in News on Friday April 19th, 2019 by admin. We report on the PBF programs in seven Sahel countries and on the recent developments in Rwanda, which was the first country in Africa that started PBF in 2001 and scaled it up in 2005. We also report on PBF in the education sector in the Central African Republic. This was the last of 10 PBF courses in 2018 organized by SINA Health with different partners. 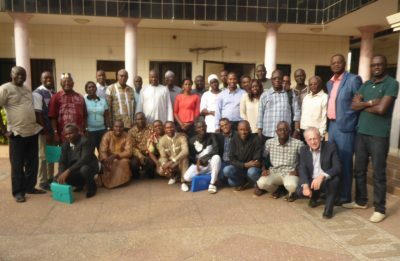 The Cotonou course took place from the 3rd to the 15th December 2018 with 29 participants from eight countries: Senegal (10x), Mauretania (5x), RCA (3x) Niger (3x), Chad (3x), Cameroon (3x) Mali (1x) and Rwanda (1x). The course was organized by BEST-SD in Benin with the assistance of BASP-96 from Burkina Faso. The daily evaluations of the course averaged 82%, which is 3.5 points above the average of the 43 previous Francophone courses. The impact of the 75th PBF course has been translated into a good quality of the action plans carried out by the groups of countries (see rapport final du cours). Twenty-nine participants did the posttest and the average progress compared to the pre-test was 29%. The average score of the post-test was 74%. Eight participants obtained a certificate of distinction with a score of 87% or higher and two participants obtained a certificate of participation of 50% or lower. This entry was posted in News on Wednesday December 26th, 2018 by admin. La version française du posting est aussi disponible sur ce site. 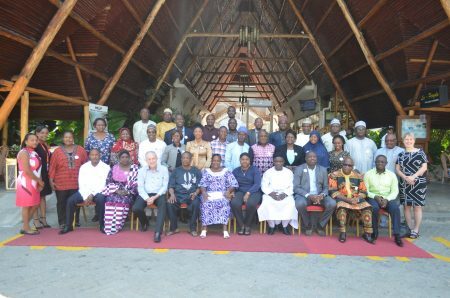 The 74th performance-based financing (PBF) course took place from Monday, October 29th to Friday, November 9th, 2018, in Mombasa, Kenya. Thirty-six participants attended the course: 34 from Nigeria, 1 from Liberia, and 1 from Cameroon. Hereby the full course report. This entry was posted in News on Monday November 19th, 2018 by admin. 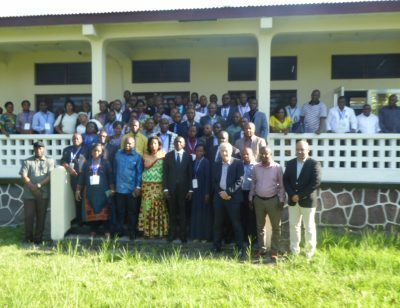 The 75th International PBF Course took place from 8 to 20 October 2018 in Kinshasa in the Democratic Republic of Congo, bringing together 60 participants from the central level. This entry was posted in News on Saturday October 27th, 2018 by admin.